The annual Spirit of Mother Jones Festival and Summer School will be held in the Shandon area of Cork City from Wednesday, 1 August to Saturday, 4 August 2018. This year’s festival once again covers a broad range of topics to be covered in a selection of daily lectures and talks and documentary films in addition to the ever-popular music events. 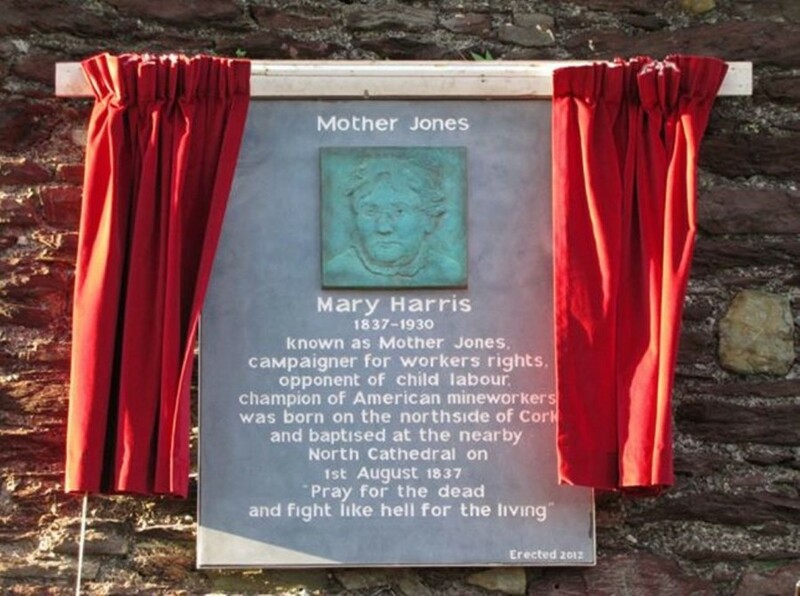 The Cork Mother Jones Commemorative committee was established in 2012 to mark the 175th anniversary of the birth of Mary Harris / Mother Jones in Cork, Ireland. 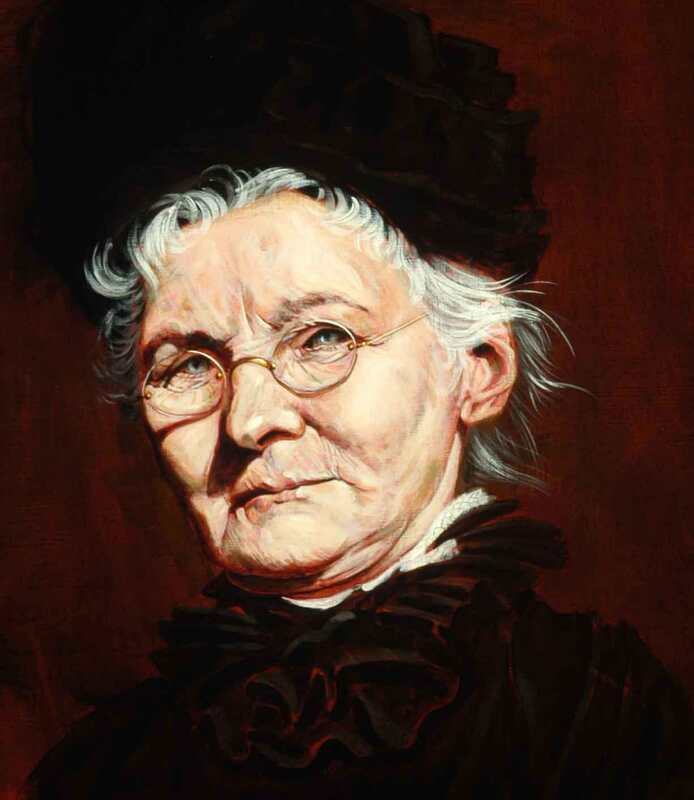 After a highly successful festival marking that anniversary it was decided to make the festival an annual summer school marking the life and legacy of Mother Jones. The Cork Mother Jones Commemorative Committee, in conjunction with Cork City Council commissioned Cork Sculptor Mike Wilkins to create a limestone plaque to honour Mother Jones in the Shandon area of the city, near her birthplace. This plaque was erected near the famous Cork Butter Market and was unveiled on 1st August 2012 which was the 175th Anniversary of her baptism in the North Cathedral (we have not been able to ascertain her actual date of birth but it would most likely have been a few days before this date). Her parents were Ellen Cotter, a native of Inchigeela and Richard Harris from Cork city. Few details of Mary Jones’ early life in Cork have been uncovered to date, though it is thought by some that she was born on Blarney Street and may have attended the North Presentation Schools nearby. She and her family emigrated to Canada soon after the Famine, probably in the early 1850s. In 2012, 175 years passed since Mary’s birth in Cork city and to honour her life, the broad-based voluntary Commemorative Committee, along with local community organisations, honoured one of Cork City’s most famous daughters with an immensely popular festival. The unveiling off the plaque at John Redmond Street was just part of a wider celebration which has now developed to an annual event which has gained international recognition. One of the many talks this year focusses in on the one hundred years since Irish women over the age of 30 were granted the right to vote. Louise Ryan will speak at the Spirit of Mother Jones festival and Summer School on Friday afternoon, 3 August at 2.30pm at the North Cathedral Visitor Centre. She is a Professor of Sociology and co-director of the Migration Research Group at the University of Sheffield. She will address the topic, “Votes for All Women: the tricky issue of class politics in the Irish suffrage movement”. Her most recent book, Winning the Vote for Women: the Irish Citizen Newspaper and Suffrage Movement in Ireland was published by Four Courts Press in 2018. Ireland’s best-known suffragette, was a Munster woman, although most of her adult life was lived in Dublin. She was born in Kanturk, Co Cork, and her father, David Sheehy, was a mill owner. When she was three the family moved to the site of another mill, at Loughmore, Co Tipperary, where they lived until Hanna was 10. The Irish Citizen newspaper was founded by Hanna and Francis Skeffington and was published from 1912 to 1920. The newspaper provides a vivid picture of suffragists’ issues during that period. The newspaper clearly shows that the contributors to the newspaper were concerned not just with the franchise but with a much wider array of issues affecting women generally. Among the many issues debated in the Irish Citizen were the suffragists’ attitudes to work, class, wages and trade unions. The movement was contained within a broad spectrum of ideas and views. Suffragists such as Louie Bennett, Winifred Carney, Cissie Cahalan, Meg Connery, Marion Duggan, Mary Galway, Margaret McCoubrey and Marie Johnson raised the issues of wages, exploitation, class and workers’ rights throughout this period and their debates and lively discussions appeared regularly in the pages of the Irish Citizen. This year the newspaper has been added to the British Newspaper Archive, which is searchable online.